Gianna Tufted dining chair by Roberto Grassie features faux crystal tufting with textured leatherette oyster upholstery finish. The chair is a statement piece with great design elements. 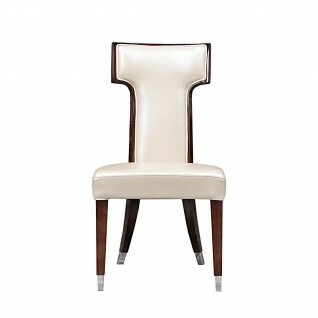 The polished Rose Gold frame and the top detail on the chair make for an elegant formal chair. Gianna Tufted dining chair by Roberto Grassie features faux crystal tufting with textured leatherette black upholstery finish. The chair is a statement piece with great design elements. 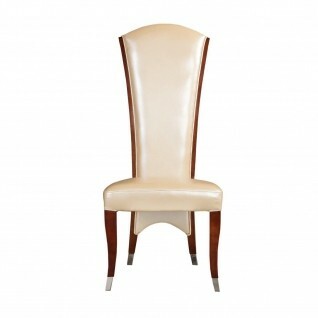 The polished Rose Gold frame and the top detail on the chair make for an elegant formal chair.